Angela S. Lieurance connects people to get big things done. To that end, she is “the other half” of the consulting firm, Relentless Pursuits, which she co-created with Sharon Magness Blake with the goal of revolutionizing philanthropy. Their focus is on the not-for-profit world. 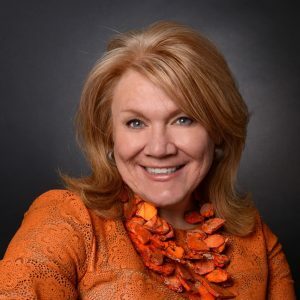 Angela was vice president of development and marketing at University of Colorado Hospital (UCH) for seven years before serving as chief of staff of University of Colorado Health from its inception in 2012. The UCHealth system was created as a joint venture between University of Colorado Hospital and Poudre Valley Health System, adding Memorial Hospital in Colorado Springs in the months soon afterwards. Angela played many pivotal roles in bringing Memorial into the UCHealth fold—from shepherding the RFP process to serving as liaison to the Colorado Springs City Council to helping lead the integration of Memorial Hospital into UCHealth system. During this process, her leadership responsibilities spanned system branding, marketing, public relations, communications, media relations, crisis management, physician relations, community outreach, event management, fundraising, and the management of three, separate foundation boards. One of those boards was that of the University of Colorado Foundation, which she co-created with Pete Coors. On her watch, too, internal communications were reorganized, centered on an award-winning biweekly electronic newsletter and regular communication from leadership. She was also a key advisor to the CEO, offering strategic and communication direction on some of the system’s largest and most challenging projects. Angela also led the process to create a system-wide mission, vision and values statement, which garnered widespread support among the system’s 18,000 employees and physicians, as well as board members. Angela started her career at her alma mater, the University of Wisconsin, as an assistant director of development for the College of Letters and Science. When the University of Wisconsin Foundation launched “The Campaign for Wisconsin,” Angela became a geographic campaign coordinator for the $500 million capital campaign, overseeing campaign efforts in St. Louis, Missouri, Indianapolis, Indiana and Chicago, Illinois. Angela moved to the Indiana University School of Law in Bloomington, Indiana where she served as director of the school’s first-ever Capital Campaign and then assistant dean for development and alumni relations. In this role, she served as a member of the dean’s senior management team; staffed the Law School’s board of visitors and alumni board; and managed the writing and publication of all law school publications. After a decade at Indiana University, Angela left the Midwest for New York to become the assistant vice president for advancement, public relations and communications for Stony Brook University Hospital and Health Sciences Center. She was responsible for directing all fundraising, alumni and communication activities for the Schools of Medicine, Nursing, Dental Medicine, Social Work, and Health Technology and Management, as well as Stony Brook University Hospital. In 2006 she came to Denver, where she remains an active member of the community. She served for two years as the annual fundraising chair for Saint John’s Cathedral and is a strong advocate for Project C.U.R.E., the largest provider of donated medical equipment and supplies to developing countries around the world. Angela served as a member of the Denver Art Museum’s Development Committee for five years; was a member of Excelsior Youth Center’s 2015 gala committee; and chaired the 2016 Denver ICON Awards Dinner. A partial list of past and current clients include Denver 2016, Bob Beauprez for Governor, Adams County Food Bank, the Joseph Family Foundation and Urban Nights, Excelsior, the Parkinson Association of the Rockies, the Steamboat Institute and Global Down Syndrome Foundation.